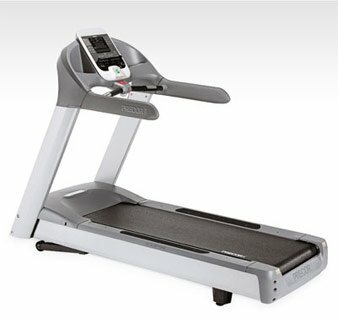 Home / Shop / Brands / Precor / Precor 966i Experience Commercial Treadmill. Call Now For Lowest Pricing Guaranteed! 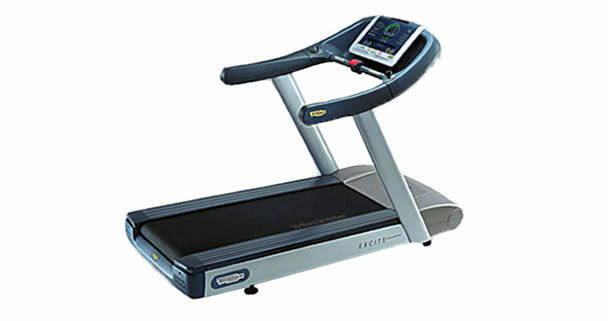 SKU: PRE966IEXP Categories: Precor, Precor Treadmills, Treadmill, Treadmills Tags: Commercial Refurbished Treadmill, Precor 966i Experience Commercial Treadmill. 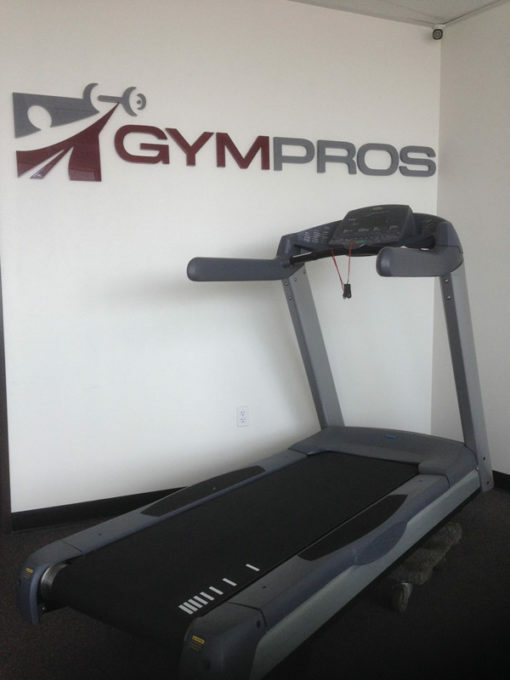 This is Precor’s top-of-the-line treadmill. 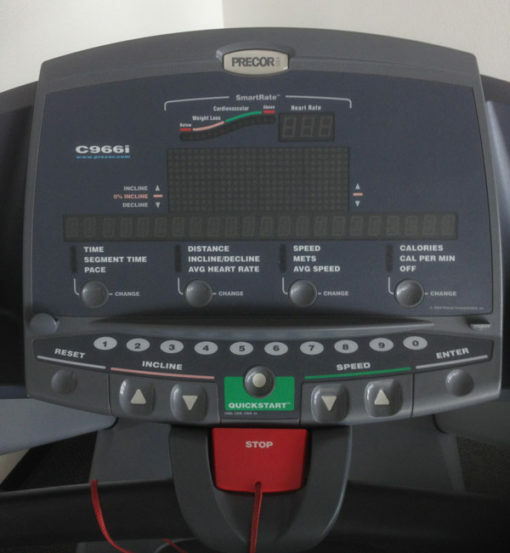 The Precor 966i Experience Series is curable enough for professional trainers and commercial settings but also great as a unit in the home. 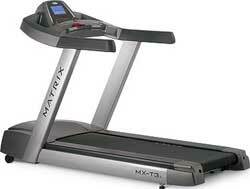 It has a quiet motor, smooth rollers, and extensive workout programs. It has a durable running deck made from sturdy Slikdeck material which never requires lubrication and it can be flipped over which doubles the life-span of the deck. In addition, the 966i Experience Series employs a convenient “Cord Management System”, which keeps wiring under the frame. The touch-sensitive monitor switches are reliable and built to last. Thirty Workout Programs including: Custom, Cross Country, Gluteals, 5K Course, Track, Random, Fitness Tests, Weight Loss, Manual, Heart Rate Control, Interval. Electronic Readouts include: Target Heart Rate, Watts, Profile, Pace, Units, Average Speed, SmartRate, Goal, Time in Heart Rate Zone, Distance, METs, Incline/Decline, Remaining Time, Calories, Segment Time, Calories per Hour, Speed, Workout Summary, Average Heart Rate, Maximum Heart Rate, Heart Rate, Time, Elavation gain, Calories per Minute, Time Elapsed. Ground Effects impact control (GFX): Easing wear on the knees, legs, and back, the unique suspension system cushions impact and controls lateral motions while remaining responsive. Integrated Footplant Technology (IFT): IFT-Drive controller works with a 4.0hp peak duty AC induction motor for a smooth, natural feel. Three-phase, sensorless variable frequency drive technology for high reliability and accurate speed control.